Item # 306756 Stash Points: 795 (?) This is the number of points you get in The Zumiez Stash for purchasing this item. Stash points are redeemable for exclusive rewards only available to Zumiez Stash members. To redeem your points check out the rewards catalog on thestash.zumiez.com. 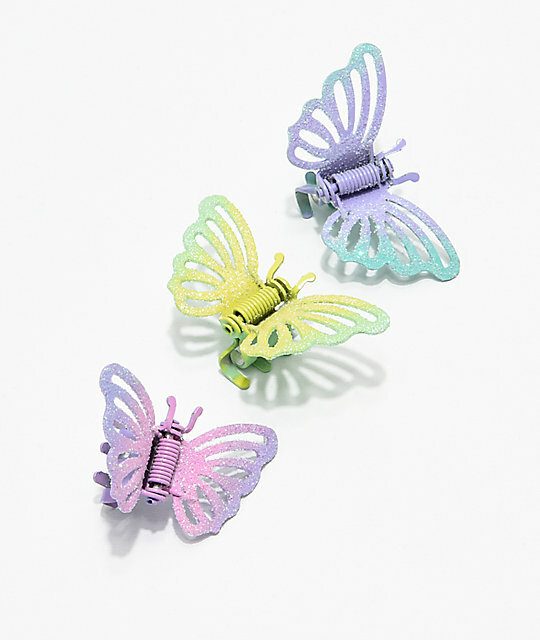 Keep your hair tamed with the Stone + Locket Pastel Butterfly Clip Set. This three pack comes complete with three different multicolor clips in the shape of butterflies. 1 purple and blue, 1 yellow and green, 1 pink and purple.